The ENERGY STAR program was created in the early 1990s by the United States Environmental Protection Agency (EPA) in an attempt to reduce energy consumption and greenhouse gas emission by power plants. Initiated as a voluntary labeling program designed to identify and promote energy efficient products, ENERGY STAR began with labels for computer and printer products. In 1995 the program was significantly expanded, introducing labels for residential heating and cooling systems and new homes. As of 2006, more than 40,000 ENERGY STAR products are available in a wide range of items including major appliances, office equipment, lighting, home electronics, and more. In addition, the label can also be found on new homes and commercial and industrial buildings. In 2006, about 12 percent of new housing in the United States was labeled ENERGY STAR. Products with the ENERGY STAR label deliver the same or better performance as comparable models. However, devices carrying the ENERGY STAR logo, such as computer products and peripherals, kitchen appliances, buildings and other products, generally use 20%–30% less energy than required by federal standards. Through this reduced energy use, ENERGY STAR products can decrease the cost of energy consumption for the consumer. In 2007 alone, ENERGY STAR helped Americans save enough energy to avoid greenhouse gas emissions equivalent to 27 million cars — all while saving $16 billion on their utility bill! ENERGY STAR provides solutions to escalating energy prices with easy-to-use home and building assessment tools so that homeowners and home manufacturers can start down the path to greater efficiency and cost savings. To earn the ENERGY STAR, a home must meet strict guidelines for energy efficiency set by the EPA. These qualified homes are at least 15% more energy efficient than homes built to the 2004 International Residential Code (IRC), and include additional energy-saving features that typically make them 20–30% more efficient than standard homes. Efficient Appliances, including ENERGY STAR qualified dishwashers, refrigerators, and clothes washers. Building ENERGY STAR qualified homes are just good for the consumer, but they are good for the manufacturer as well! Manufacturers are eligible for a $2,000 tax credit for each new energy efficient home they manufacture that achieves 50% energy savings for heating and cooling over the 2004 International Energy Conservation Code (IECC) and supplements. At least 1/5 of the energy savings has to come from building envelope improvements. There is also a $1,000 tax credit to the producer of a new manufactured home achieving 30% energy savings for heating and cooling over the 2004 IECC and supplements (at least 1/3 of the savings had to come from building envelope improvements), or a manufactured home meeting the ENERGY STAR requirements. Please note that, with the exception of the tax credit for an ENERGY STAR qualified manufactured home, these tax credits were not directly linked to ENERGY STAR. Therefore, a builder of an ENERGY STAR qualified home may be eligible for a tax credit but it is not guaranteed. These tax credits apply to new homes located in the United States whose construction is substantially completed after August 8, 2005 and that are acquired from the eligible contractor for use as a residence from January 1, 2006 through December 31, 2011. 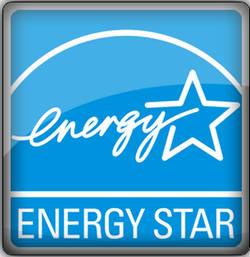 Click Here for more information on ENERGY STAR! Click Here to take a tour of an ENERGY STAR qualified home! Click Here for more information on tax credits for manufacturers that produce ENERGY STAR certified homes!